If your a fan of Luca Brasi, Slowly Slowly, The Smith Street Band or old-schoolers Kisschasy then you’d do well to keep an eye on Sydney young’ns Down For Tomorrow. 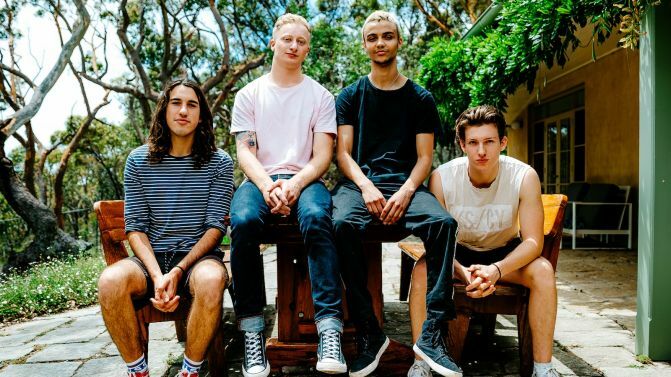 The Northern Beaches fourseome have just shared their new single ‘What Could Have Been’, a powerful and emotionally raw piece of punk rock balladry with a loud beating heart. The infectiously melodic, grungey hymn packs one hell of an emotional wallop, as frontman Cody Stebbings sings about the pain of losing friends. “’What Could Have Been’ was written in a period where I was losing touch with many important friends, and I was just writing sad song after sad song and couldn’t find any other release or a way to cover it up,” he explains. Since their inception, the Down For Tomorrow lads have traversed the east coast of Australia, playing house parties, bars and all ages events. Catch their new single ‘What Could Have Been’ premiering exclusively via Music Feeds below.